David was a product of the youth development system at Tannadice after signing from Hamilton Thistle as a schoolboy internationalist. 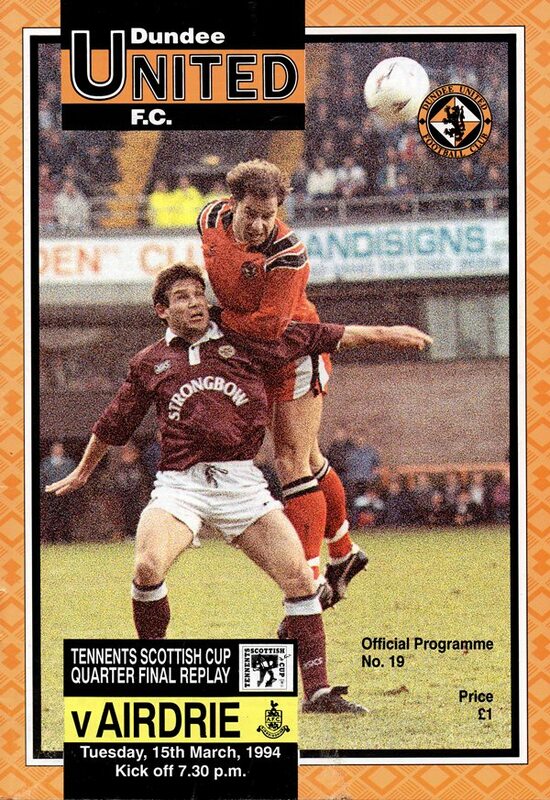 He graduated to the reserve side by 1990, playing in the United side which won the BP Youth Cup in May 1991, and was also part of Scotland's youth squad. 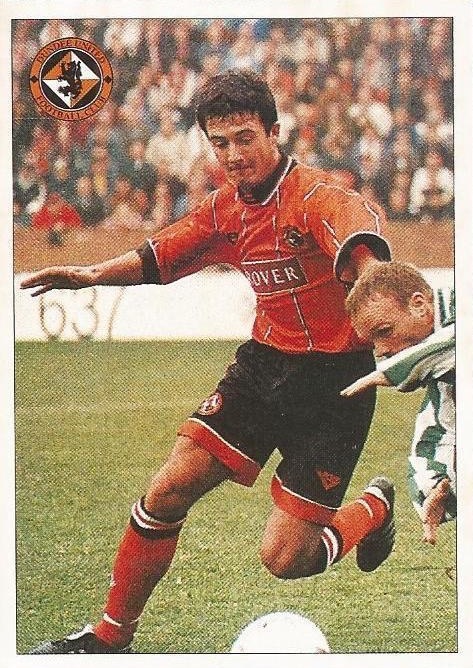 He made his first team debut in July 1991 as a substitute in a friendly against St Andrews United, but it was another year and a half before he made his competitive debut, as a substitute against Partick Thistle in February 1993. David made several more substitute appearances that season whilst playing regularly in the reserves and also became part of the Scotland Under-21 side. 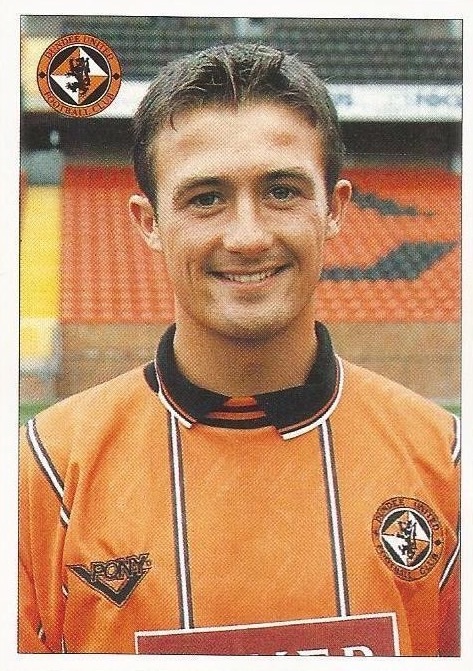 In the latter part of 1993-94, he began to feature more regularly in the first team and, after just seven starts, was surprisingly named in the starting eleven for the Scottish Cup final against Rangers at Hampden. The youngest member of the team but showed little evidence of nerves on this big occasion. It is unlikely that he would have played if Billy McKinlay had not been suspended, however he made the most of the opportunity with a determined display against a strong Rangers midfield to help United lift the famous old trophy for the first time. A number of clubs took interest in the midfielder during the 1994-95 season, with United turning down a bid by Queens Park Rangers. 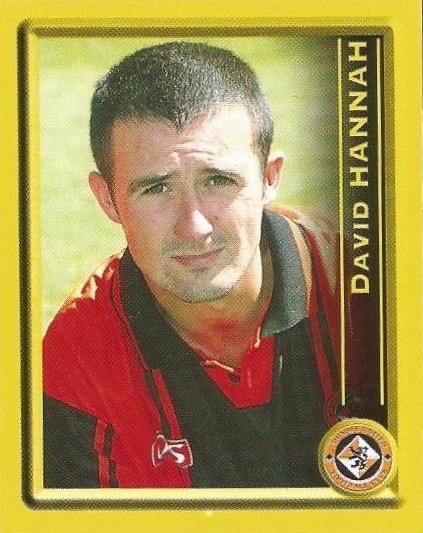 David remained at Tannadice, becoming a regular in the side, but at the end of that season he tasted the disappointment of relegation as United dropped to the First Division. 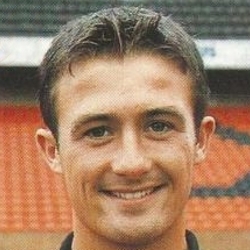 As a result of injury and a contractual dispute, the player missed much of the 1995-96 season, and appeared occasionally during the first half of the 1996-97 season before he moved to Celtic for around £650,000 in December 1996. David spent just over two years at Parkhead, collecting a championship medal in 1998, but never fully established himself in the first team. 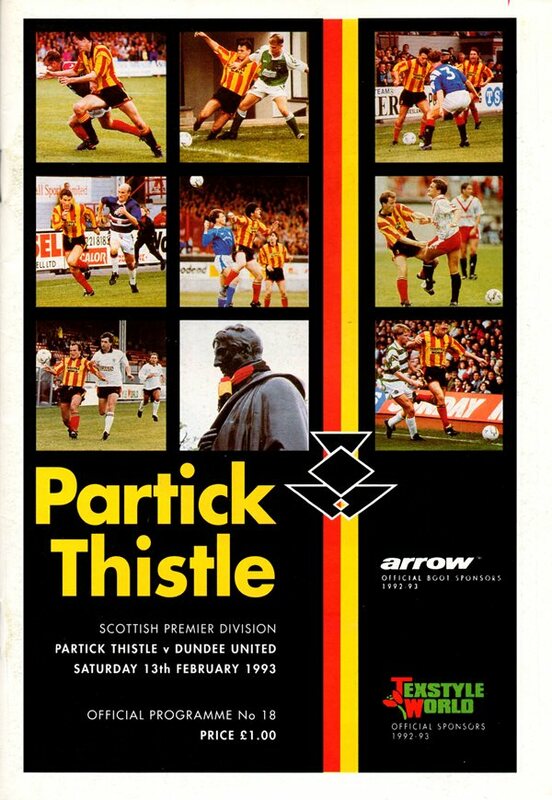 In February 1999 United manager Paul Sturrock brought him back to Tannadice for £300,000 and was again a regular in United's line-up over the next three years, scoring a memorable winner against Rangers at Tannadice in the Scottish Cup in March 2001. After his release in March 2002, he spent a season with ABL Limassol in Cyprus, returning to Scotland to join Ross County in March 2003. Just over a year later, he joined St Johnstone on a two-year deal. That was followed by a short spell at Bury and two months with Brechin City at the end of 2005-06. David then went to Iceland to play but twice returned on loan at Cowdenbeath. In October 2008 he took over as caretaker at Montrose but left after eight games in charge. In February 2009, he joined junior side Lochee United. David was born on this date in Coatbridge. Killie fighting for their Premier League survival battled tenaciously right from the first whistle to the last and United could have little by way of complaint as to the outcome. Whilst Billy McKinlay did recover from his hamstring injury in time to play, the knock Jim Mclnally took at Ibrox kept him out, whilst Jerren Nixon and Paddy Connolly traded places with Andy McLaren and David Hannah and were in the starting line up. United, despite struggling in the SPL, had another opportunity to reach a National Cup Semi-Final, the opposition being the other half of the Old Firm, Rangers. Right from the kick-off, Alex Smith's team hassled and hurried their opponents, and the Arabs maintained this level of commitment throughout the entire 90 minutes. Rangers hardly achieved a shot on goal the whole match and a goal from United's David Hannah, already a cup winner with United in 1994 again against the Ibrox side, was enough to seal another famous victory in front of a live Sky TV audience. It could, and should, have been more, but the one goal victory was more than enough to please the large Tangerine support. The evening's entertainment was further enhanced with superb live television pictures from the United dressing room.